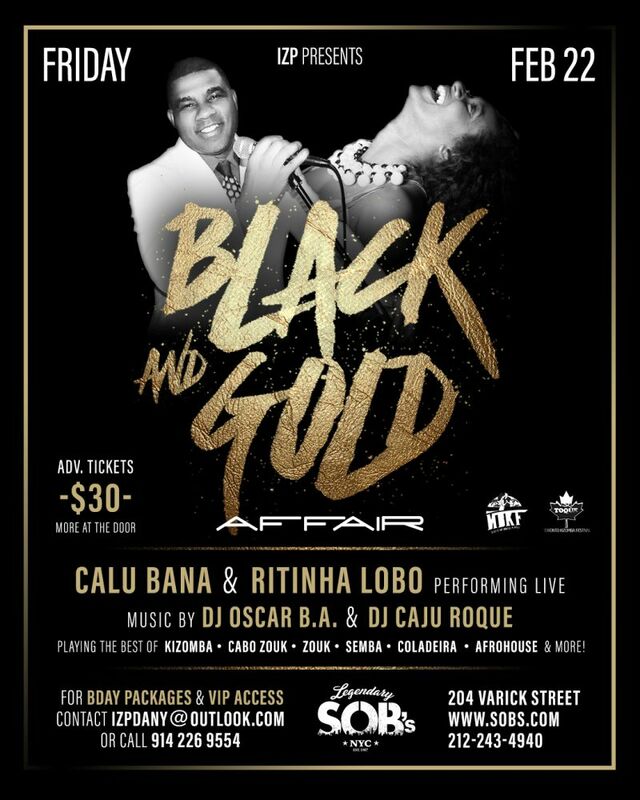 IZP Presents The Black & Gold Affair w/ Live Performances By: Calu Bana & Ritinha Lobo & Music By: DJ Oscar B.A. & DJ Caju Roque Playing the Best of: Kizomba | Cabo Zouk | Zouk | Semba | Coladeira | Afrohouse & More! Playing the best of Kizomba, Cabo Zouk, Zouk, Semba, Coladeira, Afrohouse, and more! © 2019 SOBs All rights reserved.